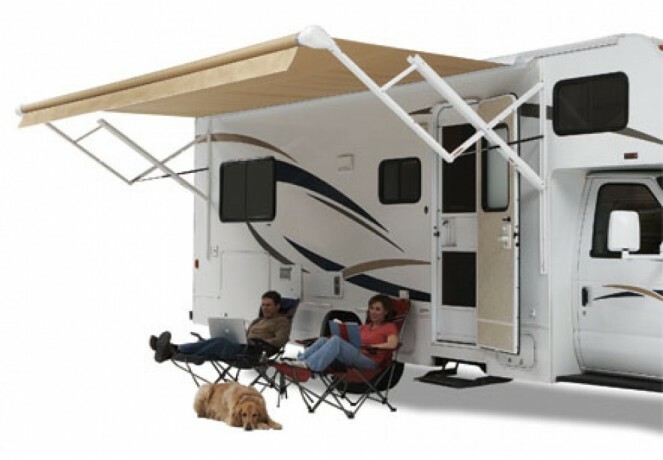 Roller tube and motor head for Carefree of Colorado Travl'r RV awning. Roller tube is 17' 5" long could be trimmed shorter . Motor head is a 12 volt, Series II. According to Carefree's website, new roller sells for 364. and new motor head sells for 325., plus shipping These are used and in very good condition. Will sell both for 250. Can't ship, must be picked up in Astor, FL, near Orlando. Photo only to show style of Carefree awning these parts are for.